Just as the legend of Romeo and Juliat or that of Layla and Majnu which has been revered by millions of people across the globe, the story of Galem and Singye has evolved into a symbol of true love and sacrifice in the Bhutanese folklore. It is true that love is a delirious passion and nowhere has it been better expressed than in the tragic tale of Changyul Bum Galem and Gasa Lamai Singye whose yearning for each other costed them sanity and life. Today, it is still one of the greatest love stories in the history of Bhutan and has inspired many film-makers, artists and singers in the country over the years. This ancient romantic story was first immortalized in the 1988 feature film: Gasa Lamai Singye, produced by Ugetsu Communication. Since then, Bhutan has seen a number of commercial movies retelling this extraordinary tale of two ordinary lovers who had put their love for each other above everything. While returning from Punakha Dzong on the evening of 27th January 2018, I and my colleague stopped at the ancestral house of Galem to revisit the past that has created this eternal legend. Situated on a hamlet overlooking the banks of Mochhu River, the house still holds the glory of its past with architectural designs that take us back to the time of medieval Bhutan. 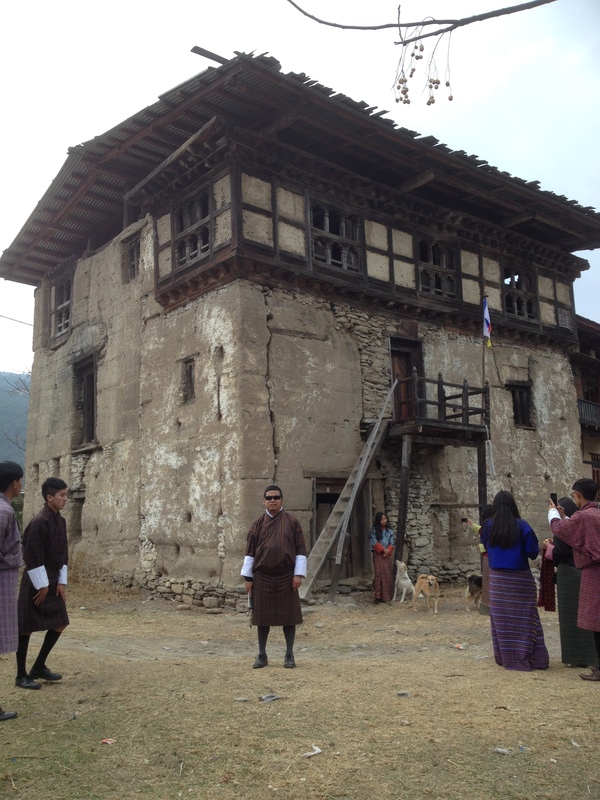 It was in this house that the epic love story of Galem and Singye had begun centuries ago. I was fortunate to meet Zam, a 76-year-old descendant of Galem who narrated the legend to us. According to the legend, Galem was an extraordinarily charming young girl whose physical beauty melted the heart of every man who crossed her path. Her coincidental encounter with Singye, an official working in Punakha Dzong sparked the beginning of their extraordinary love story that would go on to become one of the most popular and widely narrated folktales in Bhutan. Although Galem and Singye were madly in love with each other, the path of their love story did not run straight. The local chieftain who had fallen in love with Galem at first sight stirred up the entire situation. In a bid to marry her, he sent Singye on transfer to Gasa to serve Gasa Lam. But the chieftain could not fulfill his dream after Galem revealed to her parents that she was already pregnant with Singye’s baby. It was this confession that led her parents to ostracize her from the family. Depressed and disheartened, Galem painfully stood on the bank of Mochhu River and sang out a heart-breaking message for Singye to the passerby on the other side of the river. 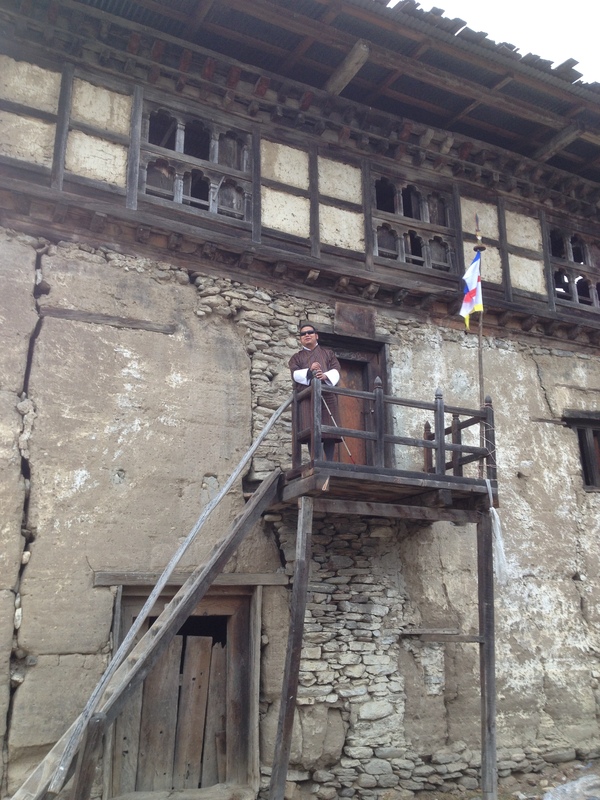 After receiving the message from Galem, Singye immediately rushed down to Punakha to meet her. When he was about to reach Punakha, Galem came up to meet him with a potluck. But when Singye opened his eyes after the offering of prayer, Galem had disappeared into the thin air. Sensing something was wrong, he hastily rushed down to Mochhu Bridge from where he could see some thick smoke in the distance. After he was told that Galem was being cremated, he fainted. When he finally reached the cremation ground, he found that people were struggling to set Galem’s body alight despite all desperate attempts to do so. In the midst of chaos and confusion, Singye jumped into the fire. The flames instantly engulfed them and united their souls forever. It was this story that has survived hundreds of years and is still celebrated as one of the greatest examples of true love in the history of mankind. I don’t know if it’s really true, but Angay Zam told us that her youngest sister who is a speech-impaired, has been recognized as the reincarnate of Galem after she was able to narrate her past life when she was a child and was able to recognize all of her original personal items which had belonged to her when she was the real Galem. Today, she is the only one to have rightful access to the treasures of the house which have been taken care of by the government. The descendants of Galem have moved out of the ancestral house about 15 years ago since it has become too weak to withstand external pressure. It is however under the care of the government since it is preserved as a place of historical significance. Wow! Thanks for sharing. So, did Singye also re-incarnate? Any idea? Thanks for the comment. I have no idea about Singye's reincarnation. I was told only about Galem.